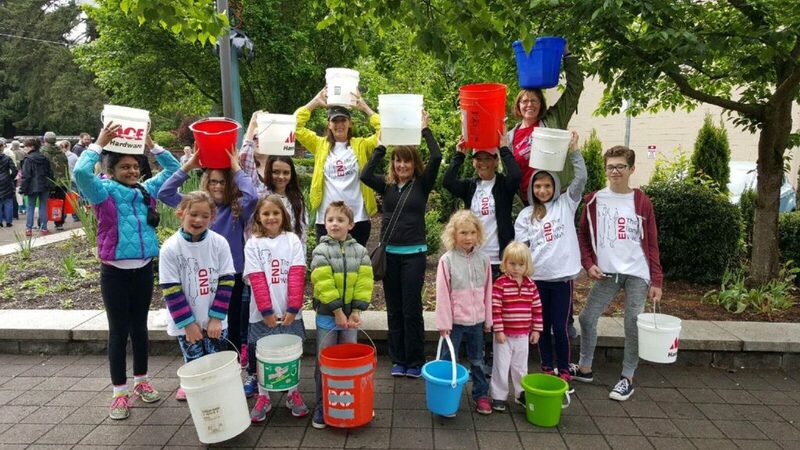 In the weeks leading up to Walk4Water9, parents, staff, and students at Bridgeport Elementary School in Tualatin engaged in a variety of activities focused on water, sanitation and hygiene. Every Wednesday in April the school announcements included Water Words – a short focus on concepts of clean water and the reality of living without. 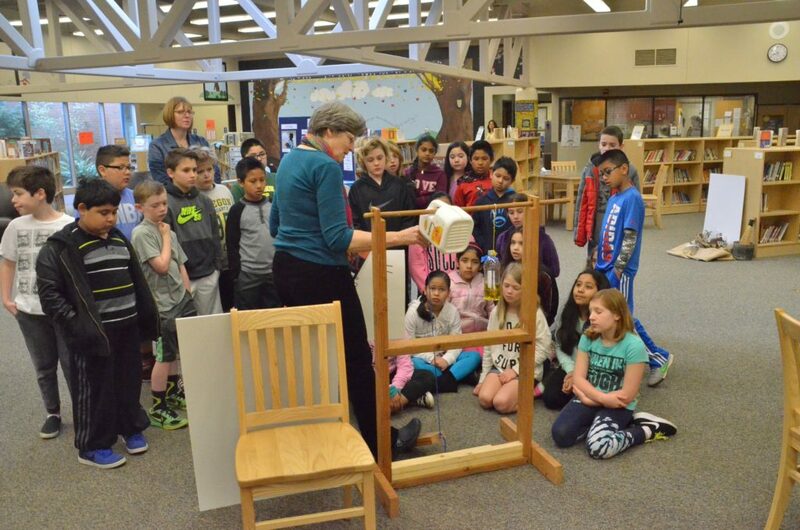 The school library supported class and independent learning with resources on water conservation, the water cycle, and the importance of clean, safe water. 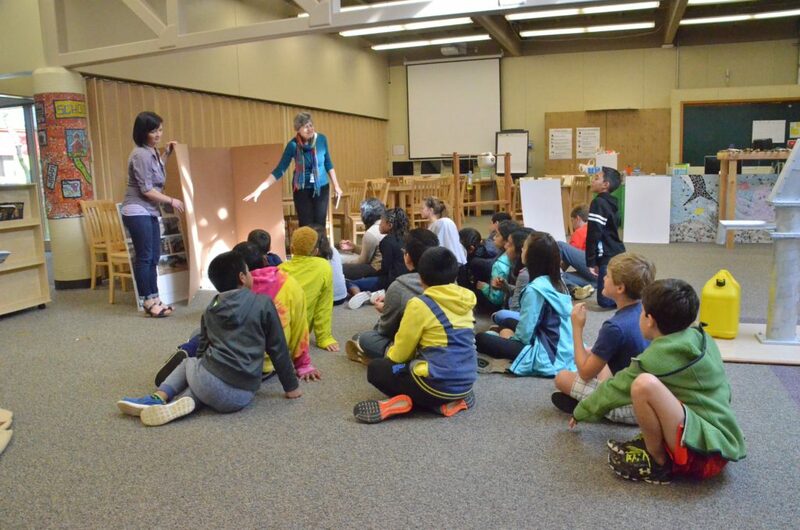 The K-2 classes read Just Add Water while the 3-5th graders studied Linda Sue Park’s book A Long Walk to Water. 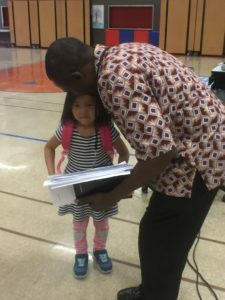 Bridgeport Elementary 4th grade teacher Lisa Helm has a family connection to Salva Dut, whose story is told in A Long Walk to Water and this personal connection helped to bring the story to life. In early April, WaterAfrica Co-Founder Diane Savage and Bridgeport parent Sarah Mattecheck led 500+ students in small group interactive presentations using WaterAfrica’s WASH stations to learn about the sanitation elements World Vision implements in rural Zambian villages before bringing clean water. Students learned that hand washing stations, bathing shelters, dish drying racks, garbage pits, and toilets help keep Clean Water Clean. After these presentations some students wrote response papers and several classes wrote letters to students attending Bimbe Primary School and Makonkoto Primary School in Zambia. One Bridgeport kindergarten class got a memorable illustration of the challenges and hazards in maintaining a safe water supply when their teacher set up a simulation exercise. She placed buckets of water across the school field, at a significant distance from the classroom, and when the students needed water for projects throughout the day they had to cross the field to collect it. At one point the entire class headed out together to collect water they needed for their next project when they spotted a dog across the field, walking off-leash near their buckets of water. Almost as if on cue, the dog lifted his leg and peed in their water. The students had learned from Diane’s presentations about pigs, goats, and cows drinking from the same water holes as villagers in rural Zambia and they had heard about the animals going to the bathroom in the same water. This unexpected illustration drove the point home. In response to their month-long water focus, the school gardening club planted seeds and sold the starts to raise money for Salva Dut’s organization, Water For South Sudan. Additionally, each classroom had a bucket labeled “A Drop In The Bucket” to collect change for WaterAfrica. On the Friday morning before Walk4Water9, Chikondi Phiri visited Bridgeport Elementary for a school wide assembly. Students sat with full attention as Chikondi told them about kids in Zambia whose lives have been changed by access to clean water, good sanitation, and hygiene. 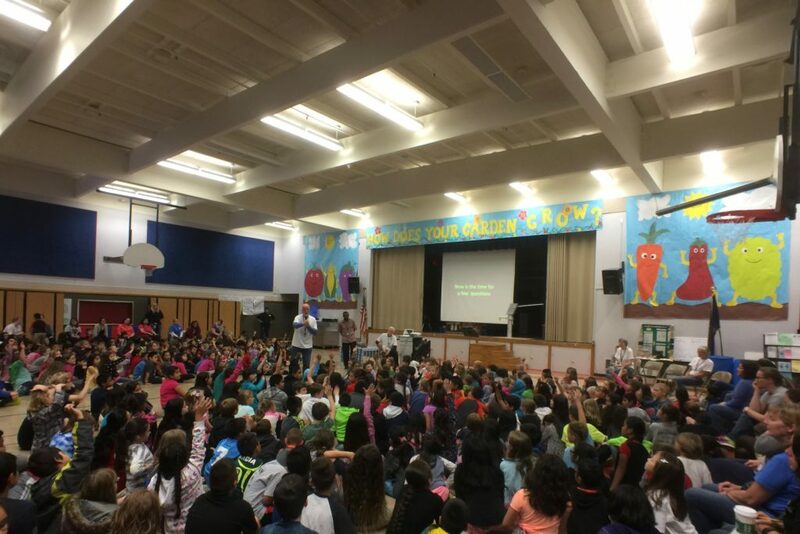 Bridgeport students asked thoughtful questions after Chikondi’s presentation, and at the end of the assembly the students presented Chikondi with their buckets of change and letters for him to deliver to the Zambian schools. After the assembly, all the kids had returned to their classes and the room was quiet. WaterAfrica visitors were preparing to leave when a young girl came back into the gym and walked straight toward Chikondi. When she reached him she looked up and spoke a few quiet words as he leaned close to hear. When she was finished speaking she opened her hand and gave him her donation which had not made it into her class bucket, and then she quickly wrapped him in a hug. It was an exchange he will not soon forget, nor will any of us who were privileged to be present in that moment. Indeed, WaterAfrica: Raising Awareness, Raising Funds, Transforming Lives. Thank you, Bridgeport Elementary School Students, Staff, and Parents for joining us in this important work. 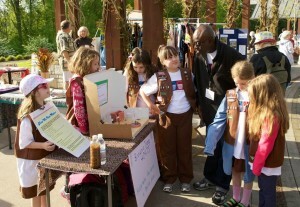 Grace left the conference inspired and feeling compelled to find a way to help. 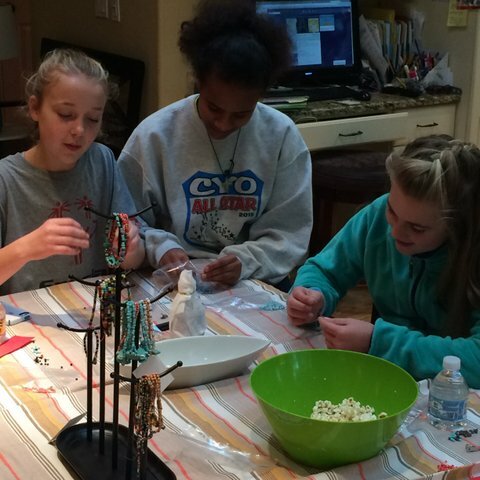 She and her sisters, Claire(11) and Sara(8), reached out to a few friends and together they began making bracelets to sell in order to give the proceeds for clean water in Zambia. The girls chose to integrate a little elephant charm to serve as a reminder of the purpose of the bracelet. They hope that the wearer will see the elephant on their wrist and remember that they helped provide fresh water to someone in need. 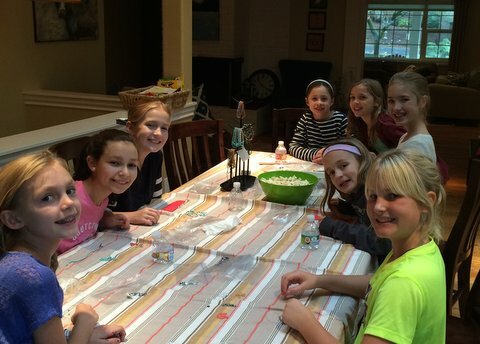 One of Kristen’s favorite stories is of the little girl who bought a bracelet off her daughter’s wrist on the school bus: She paid with a plastic baggie filled with $15 worth of coins. 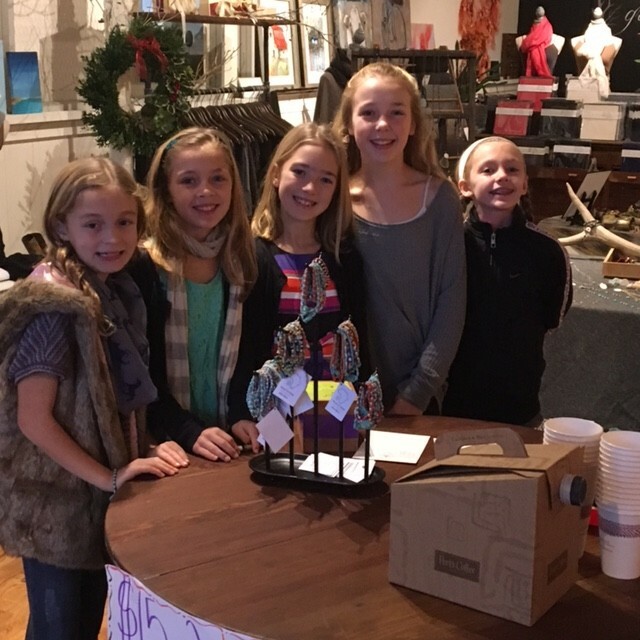 These girls have raised $1,105 through bracelet sales! Our 3:1 match will multiply this money and 66 people will have clean water for life. You can purchase a bracelet at The Grove, in Lake Oswego, Oregon. 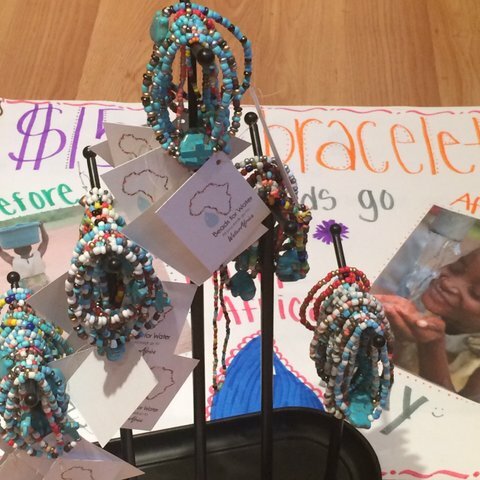 Phone: 503.635.3023 Each bracelet is $15 and 100% of the money is given to WaterAfrica for clean water in Zambia.The girls hope to continue production and sales and even talk about exploring additional outlets. We are grateful to these creative, thoughtful girls and we trust that even as they apply their gifts and energy to provide life-changing clean water for rural Zambians, they will also find their own lives changed in remarkable ways. Thank you, Ms. Heaton, for your encouraging words! Thank you, WaterAfrica Friends! Your support is life-changing. Dr. Greg Allgood is Vice President at World Vision where he helps lead World Vision’s efforts to address the global clean drinking water crisis. World Vision is now the leading nongovernmental provider of clean drinking water in rural areas of the developing world, reaching a new person with clean drinking water every 30 seconds. Prior to joining World Vision, he worked for Procter & Gamble (P&G) for 27 years and is the Founder of the P&G Children’s Safe Drinking Water (CSDW) Program. He has a PhD in Toxicology from North Carolina State University and a Master of Science in Public Health from the University of North Carolina – Chapel Hill, where he did research in water quality. Reverend Bob Sanders served as Senior Pastor at Lake Grove Presbyterian Church for more than 24 years before retiring in July 2015. Prior to this he was Senior Pastor of University Presbyterian Church of Fresno, CA for 10 years, and before that, served at First Presbyterian Church of Boulder, CO. Bob earned his Bachelor’s degree in political science at Miami University (Ohio) and received his Master of Divinity degree from Princeton Theological Seminary. In his work at Lake Grove Presbyterian Church Bob saw firsthand the transformation clean water brings in places like Senegal and Zambia and Bangladesh. Under Bob’s leadership, Lake Grove Presbyterian Church expanded their mission outreach in partnership with World Vision and Bob witnessed the deep and vital impact this work had on his congregation. Doug Treff recently retired from Payless ShoeSource where he was EVP and Chief Administrative Officer. He was responsible for financial oversight to optimize capital structure and allocate capital effectively. Before joining Payless, Doug served as Executive Vice President and Chief Administrative Officer for Sears Canada, Inc. from 2006 to 2007. He served as Senior Vice President and Chief Financial Officer for Deluxe Corporation from 2000 to 2006. He held Chief Financial Officer and other leadership roles at Wilsons, The Leather Experts, Inc., from 1990 to 2000. Doug holds a Bachelor’s degree from the University of Minnesota and an MBA in Finance and Strategic Planning from the Wharton School at the University of Pennsylvania. Doug serves on the Board for World Vision, U.S. and has participated in Vision Trips, including trips to Zambia. Doug brings his business expertise to this important discussion regarding the impact of safe, accessible water. Bill Savage is a co-founder of WaterAfrica. 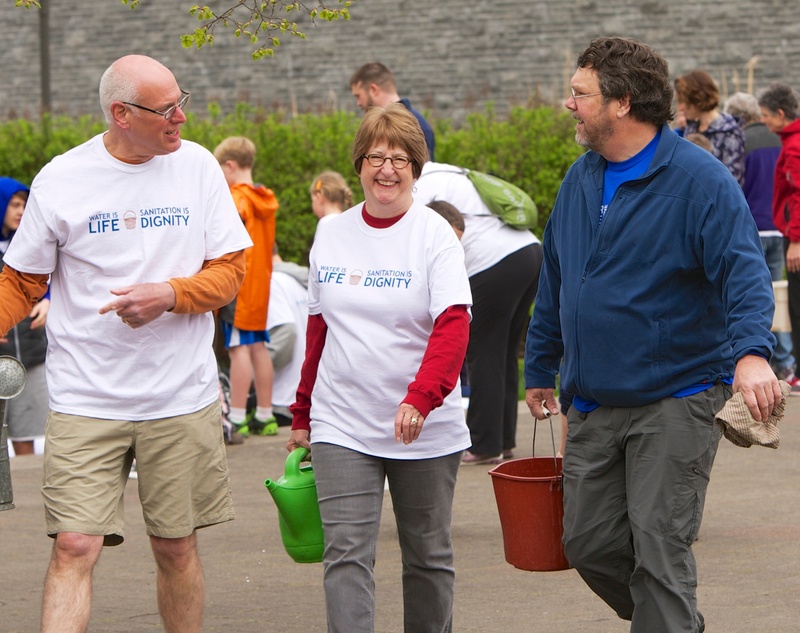 In 2005, while on a World Vision trip to Zambia, he saw the devastating impact of dirty water and poor sanitation on the lives of the villagers. Ever since, he has led or supported a group of dedicated WaterAfrica volunteers bringing clean water to as many Zambian villagers as possible. He has returned to Zambia three times and seen firsthand the changes that occur when World Vision drills borehole wells and trains the villagers in sanitation and hygiene. Bill is retired after serving as a marketing executive with Bank of America, Key Bank and The Benj. Franklin. He earned his BA in psychology from Pomona College and his Masters of Theology and Doctor of Ministry from the University of Chicago. “At some point in time, I almost left my husband to go back to my parents,” recalled Irene Mweemba, 46, who lives with her husband, Raynold, and the three youngest of their six children in Mukumwa village in the Hamaundu ADP. Irene grew up in Hangumba village, which is about four miles from where she currently lives. 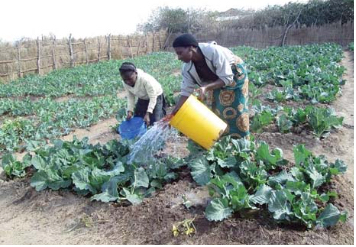 During her childhood, she was privileged to access water from a nearby borehole, and her parents taught her to grow nutritious vegetables in gardens they cultivated around the borehole. However, the situation changed when Irene married Raynold, whose village had no borehole at the time. The nearest water source was a seasonal stream, which dried up in August, forcing them to dig shallow wells along the riverbanks. “The nearest stream would take us about an hour to get there, and I used to experience chest pains because of walking through the cold to fetch water and carrying loads of water on my head. It was too much for me that at some point I even felt like leaving my husband to go back to parents because I was not used to the kind of life I found in Mukumwa village,” Irene recalled. Irene and her daughter draw water from the new borehole in their village. 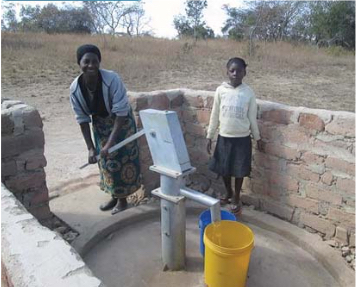 Thanks to your generous support, World Vision drilled a borehole in Mukumwa through the Zambia WASH Program. Irene’s family and her neighbors now have access to safe water year-round. Irene operates a profitable vegetable garden, and she is now happy and proud to be a resident of Mukumwa village. “I am now happy because I no longer have to walk a long distance to fetch water, and we no longer argue with my husband over leaving him to go back to my parents because of the problems I used to experience associated with water,” she said. Irene has earned about $154 by selling her produce. “With this garden, I am able to buy soap, salt, and sugar, and also take my children to school. Therefore, I do not consider myself to be poor any more,” she said. She works with her children in the garden to transfer her gardening skills to them. Her youngest daughter, Astrina, is 9 years old and in second grade. She finds it fun to water the garden when she returns from school. Irene expressed thanks to God and World Vision for the hygiene education and the clean water that have transformed her marriage and family. WaterAfrica Teams have traveled to Zambia and seen firsthand how truly Irene’s story represents the life-changing impact of your donations for people living in rural Zambia. World Vision is engaged in transformative development with thoughtful, sustainable strategies and methods. WaterAfrica’s fundraising supports World Vision’s Water, Sanitation & Hygiene work in Zambia and we have seen how important and life-changing this work is. Thank you for your continued support of WaterAfrica. We look forward to strengthening our partnership with World Vision in 2015 and are excited to be sending a WaterAfrica team to Zambia in July! If you are interested in joining this travel team and seeing first hand the WASH work in the field, please contact Gary or Judi Mittelstaedt. Thank You Bill and Diane Savage! In 2005, Bill Savage traveled to rural Zambia with a team from Lake Grove Presbyterian Church. On that trip he walked with a woman to a dry stream bed where she collected water out of a small muddy hole. The next year, Bill’s wife, Diane also traveled to Zambia where she also walked with villagers struggling to survive without clean water and good sanitation. The vision for WaterAfrica was born out these experiences and Bill and Diane’s willingness step further into the story and see how they could help. In October 2014, WaterAfrica celebrated 8 years of transformative work as a result of Bill and Diane’s vision and leadership. During this time WaterAfrica has raised $1.2 million, providing water for over 26,000 people in rural Zambia. This important work has engaged people in communities all around the world. WaterAfrica’s work has been supported by wide-ranging efforts and financial gifts from so many different people. We prepared this video to share at our October Donor Event in recognition and thanks for Bill and Diane’s remarkable gift of leading WaterAfrica through these years. Please take a few moments to watch it. If you would like to respond with a financial donation. Be assured, your gift will create opportunities and hope in Zambia. Please note: All donations to WaterAfrica from now to the end of 2014 will be donated directly to World Vision WASH projects in Zambia in honor of Bill and Diane Savage. Please join us in this tribute to their remarkable leadership. 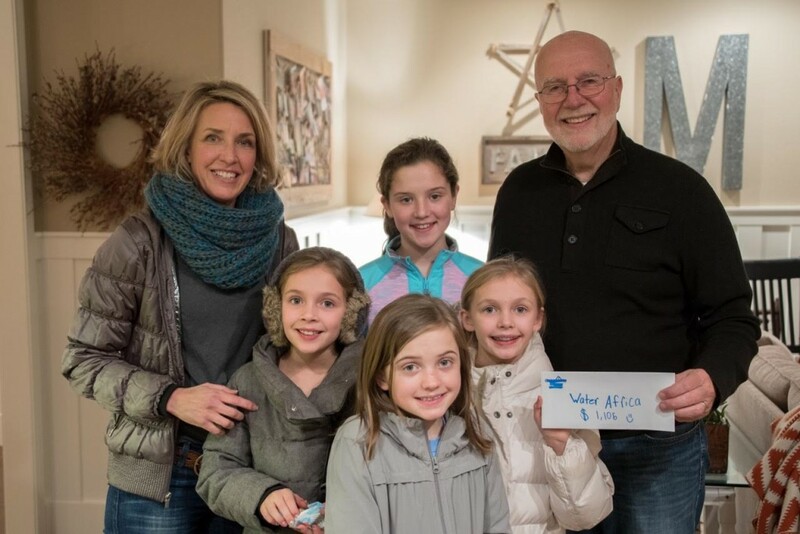 UPDATE 1/17/15: WaterAfrica raised $90,000 in our End of the Year Fundraising Campaign and this money was given to World Vision’s WASH work in Zambia in honor of Bill & Diane! 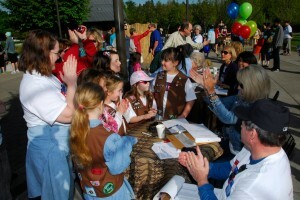 It was windy and wet in Lake Oswego last Saturday as new WaterAfrica Presidents, Gary and Judi Mittelstaedt, gathered candles and set up chairs, preparing to welcome people to their home for the scheduled WaterAfrica donor event that evening. 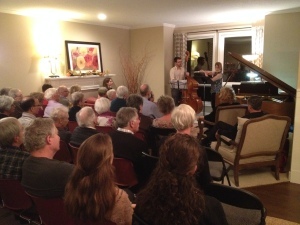 In spite of regional power outages and stormy conditions, the lights stayed on and over 60 people gathered in the Mittelstaedt home to enjoy performances from musicians Wendy Bamonte, Jeff Wood, Ben Schumacher, and Judi Mittelstaedt. WaterAfrica Treasurer Kevin Cummings shared about his experiences volunteering with WaterAfrica and the transformative nature of this relationship. Sam Jackson, World Vision Director of Philanthropy, shared how World Vision’s persistent and continuously improving expertise in providing safe water has made dramatic impact over the last decade. Water, Sanitation and Hygiene are the foundation programs in each Area Development Project (ADP) where World Vision works. By 2016, 60% of World Vision ADPs will have fresh, safe water with the goal of 100% by 2020. Sam expressed deep appreciation for the work of WaterAfrica, which has now provided WASH to over 26,000 Zambians and challenged us to keep the long goal in sight as we continue to Raise Awareness and Funds for this important, Transformative work. After 8 years of dedicated service, founding board members, Linda Favero and Greg Chandler both stepped down from their board positions. Additionally, Sharon Reichle and Jennifer Searls transitioned off the board. Terry May, who served as Chaplain, has also stepped down. These individuals each brought unique energy and vision to WaterAfrica’s mission and efforts. We are grateful for their years of service and look forward to their continued presence in the WaterAfrica Community. In the transition, we welcome new board member Mary Austin. Mary works as Donor Liaison Manager at World Vision and is not new to WaterAfrica! She traveled to Zambia with WaterAfrica in 2008, and has been on the Walk4Water planning team from the beginning. We also welcome Bill Hall, a retired engineer. Bill brings lots of volunteer experience, energy, and expertise and we are glad to have him join us. Judi Mittelstaedt is another familiar face joining the Board this year. She and her husband, Gary, traveled to Zambia with WaterAfrica in 2010, and Judi has been a faithful WaterAfrica volunteer. Gary joined the Board in 2012. Speaking of Gary and Judi, Gary recently retired from Intel Corporation having served in many global business development roles in the US, EU, China, and India. Judi is retired from the West Linn-Wilsonville School District where she served as an elementary and middle school counselor. Along with her various roles in Lake Grove Presbyterian Church’s music programs, she’s been an active volunteer with International Justice Mission and related justice ministries in the Portland area. We are delighted to announce that Gary and Judi have agreed to serve together as new co-Presidents of WaterAfrica. 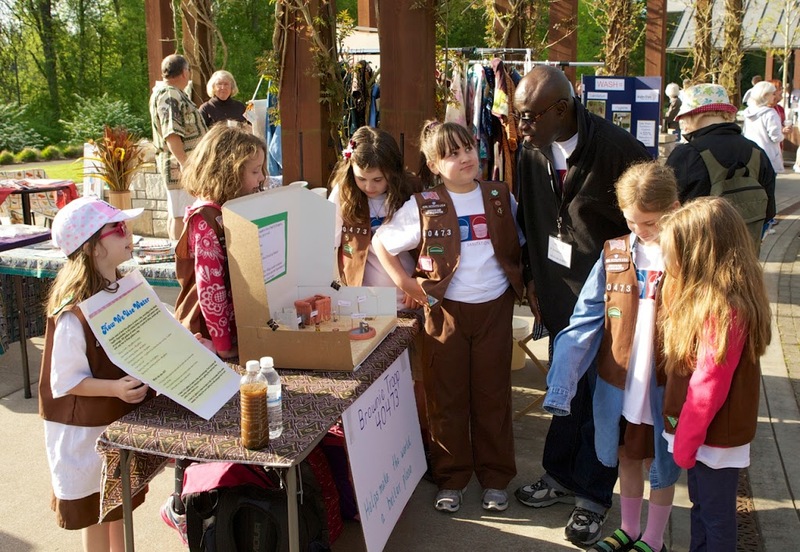 In 2010 we set a goal to raise $500,000 in five years. We met this goal in four years!! 2014 marked our seventh successful Walk4Water. This has been our signature fundraising event and has served as a powerful means for community engagement. Through World Vision’s Development Programs, we have provided sustainable Water, Sanitation, Hygiene resources for more than 26,000 Zambians! We are targeting a new fundraising goal of $1 million in five years! We will be exploring ways to engage more communities, churches, organizations, and small groups, inviting them to join us in supporting the World Vision challenge to provide water to ALL Zambians in World Vision’s Development Programs by 2020. At a recent Donor Event we celebrated WaterAfrica’s important, transformational work over these past eight years and we look forward to continuing this good work in the years ahead. We are busy preparing materials for our upcoming End of the Year Campaign. Please watch for it and join us as we work together to Raise Awareness, Raise Funds, and Transform Lives. What a delight to pull LuAnn & Wayne Yocky’s name out of the hat in our “Wear in the World” drawing! We had a lot of fun with this T-Shirt Campaign on Facebook. Thank you to all our participants! And thanks to those of you who liked, commented and shared the fun. We are grateful to Walk4Water7 Corporate Sponsor, Nicoletta’s Table, for also sponsoring this campaign with a $25 gift certificate for the drawing winner. When WaterAfrica Founder Bill Savage was in Zambia with Lake Grove Presbyterian Church in 2005, he asked LuAnn if he could see the water source for a village they were visiting. LuAnn arranged for Bill to meet and walk .5 mile with a lady to a dry stream bed where she collected water for her family’s use. You can read Bill’s reflections on that Walk here. LuAnn’s deep love for the poor and her commitment to transformation on both sides of the bridge (donor to field) has been her life’s work. She has been recognized within World Vision as a champion of water projects and WaterAfrica knows why! Bill’s conversations with LuAnn allowed her to connect him with people and create opportunities for him to get involved and make a difference. Bill’s early commitment to raise money for 5 borehole wells in Zambia didn’t stop there. WaterAfrica was born out of that work and the organizational structure and mission evolved so that now we focus not just on bringing clean, safe Water to rural Zambians, but also Sanitation and Hygiene resources. LuAnn was instrumental in facilitating relationships and opportunities so that WaterAfrica could effectively take up the WASH cause in Zambia. As we work to Raise Awareness, Raise Funds & Transform Lives now, nearly 10 years later, WaterAfrica is part of an expanded network of donors supporting a comprehensive World Vision WASH program in Zambia.